The six facets are the Greek crisis, Greek euro exit, the EFSF, the self-fulfilling recession in the eurozone, the contagion in Italy and Spain and France’s AAA credit rating. Strategy needed. Things are only getting worse as time passes in the eurozone. With every moment of inaction the systemic crisis deepens and worsens. 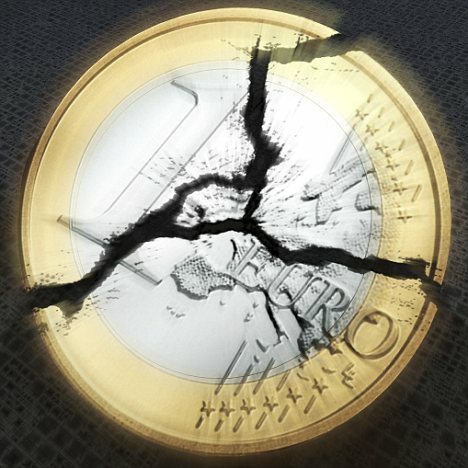 Greece is on the verge of a formal default or a massive debt restructuring, while the rest of the euro countries are all facing their own spiralling problems which are interconnected once seen with a clear eye. Within this bleak environment it is important to lay down a number of issues in order to understand the reality that surrounds us. The focal point of the crisis is reasonably and justifiably Greece yet the crisis is much broader and deeper than what some would like to believe. It is not just about Greece, but ultimately about the euro. I have identified six facets of the current economic reality in the euro area. The first two are directly related to Greece. The rest are about the rest of the euro countries. **1. Greece will default. ** Greece is practically bankrupt since May 2010, when it lost market access. The only reason it remains above water is thanks to the European bailouts that allow the country to pay back its creditors and cover all the necessary expenses to run the state. Everyone knows that Greece is laboring under an immense mountain of debt which will sooner or later lead to default given four parameters (1) the internal malignancies of the Greek economy that have over the years created all sorts of rigidities that prevent supply-led growth in the short-to-medium term, while the uncertainty that new emergency taxes create does not provide any safe ground for investment, (2) the monolithic, self-defeating austerity that the so-called “troika” (EU-ECB-IMF) asks for, has serious contractionary effects on the economy, (3) the bailouts to Greece though added on the national debt, are not used to invest in structural projects that would benefit the economy by stimulating much-needed growth and creating externalities for the private sector to invest, but are only utilized for covering fixed costs of the state and paying back creditors (European banks in their vast majority), (4) the overall self-fulfilling crisis of the euro that leads to depression in the euro area which is deeply rooted in the structural flaws of the single currency and all the political rigidities of the EU decision-making processes. The latest inability of the Greek government to meet the budget targets set by the troika, which is the end-result of first an overall slowdown of the global economy, second a miscalculation of the contractionary effects of strict austerity, third the continuous strikes in almost every sector of the Greek economy; all imply that the situation in the Greek interior is not going to change for the better. Hence Greece will certainly default, yet what remains uncertain is the exact manner of this process (orderly – disorderly) and the exact timing. These will depend on the decisions of European leaders and on other variables – however a disorderly default coupled with early elections and social unrest remains as a possibility. Greece faces two crises in one. On one hand it has a mountain of debt and an unsustainable fiscal deficit that can only be dealt with fiscal consolidation policies (austerity), on the other hand it has an uncompetitive economy plunged in years of malinvestment and maladministration together with all sorts of obstacles to trade, that need deep reforms to be revitalized. If each of these issues was dealt with separately then Greece would have the capacity to successfully complete its objectives. But attempting to solve both issues at once, only leads to disaster, since what is a solution to one crisis is a problem to the other. **2. Greek euro exit not feasible. ** In an ideal world, Greece should have the option to temporarily exit the euro in order to reconstitute its national currency (drachma), in an attempt to regain competitiveness by inflating its way out of the crisis. Alas in the real world of the euro this is impossible due to the way the euro is structured. An exit of any country would be tantamount to collective suicide as the country in question would not go back to its pre-euro standards but to a much lower level. Once all parameters are taken into consideration anyone can see that an exit from the euro will lead to hyperinflation and stagnation (thus a deep stagflation). Additionally Greece’s exports amount to around 20-25% of the value of its imports, thus offsetting whatever gains in competitiveness the national currency could have brought. Greece imports way more than it exports. This is a non-sustainable trade deficit, but will become even worse if Greece reconstitutes the drachma, since the new Greek currency will depreciate to such extend that practically no import will be possible. Consider the ramifications this would have on technology, health, agriculture (yes even agriculture), national security etc. On local production and growth in general. On top of that the rest of the euro countries would witness an avalanche of chain events that would eventually tear apart the euro (see analysis Currency union and Greek Euro Exit). Therefore the option of exiting the euro is not feasible within the existing environment neither for Greece nor for the rest. The only way this could be possible is if a mega-plan to contain the shock wave of a Greek default was devised and if Greece was provided with all necessary assistance to be able to stand on its feet after a default and a euro exit. For the time being such a plan does not exist and does not seem likely to exist. **3. The euro area is trapped in a self-fulfilling cycle that leads to depression. ** Both unemployment and inflation are rising (see analysis Evaluation of inflation and unemployment amid the Euro Crisis). Events are showing what I and many others have been saying since day one, that the crisis is systemic and not an amalgamation of perfectly separable national crises as European leaders wish to present it. Amid this systemic crisis there cannot be state solvencies without any solution to the three dimensions of this systemic crisis: (a) debt crisis in all Euro countries, (b) quasi-bankrupt European banking system, filled with zombie-banks, (c) under-investment in all the euro area with very few exceptions. **4. The EFSF is a flawed mechanism. ** The new expanded EFSF will not be able to arrest the crisis but only to temporarily provide safety to private banks. The EFSF is basically a common fund in which all member-states provide part of their taxpayer’s money, to bail out countries in need. As this mechanism is currently structured the best economy guarantees the second best, which guarantees the third and so on (see The seven classes of the eurozone). This means that all states are practically tied together and to the countries that have received the bailouts. Those who know how the toxic CDO’s (Collateralized Debt Obligations) that largely caused the Great Recession were designed, know that the EFSF is in fact a huge toxic CDO right at the heart of the Euro (see the analysis of Prof. Varoufakis on the toxicity of the EFSF). It is composed of slices of debts with different credit rating with a total outcome of a triple-A rating. For as long as France and Germany cling on to their AAA rating then the EFSF will remain stable, but if France’s credit rating is downgraded then the EFSF will be over. **5. Italy and Spain are practically gone. ** The only reason they are still able to borrow from the markets is thanks to the constant ECB intervention in the bonds market to keep rates at “affordable” levels. Alas the ECB is fighting a losing battle, because it does not have the political legitimacy to buy the mountains of debt of the 3rd and 4th largest European economies that amount in total to nearly 2.5 trillion euro. Also the ECB was carrying out the same policy with Ireland and Portugal by buying approximately half of their own debts (which are far less compared to Spain and Italy), yet it massively failed to prevent them from coming to the need for bailouts. The markets are aware that the ECB is fighting a war of attrition that it cannot win, thus they only await the right chance to strike back with immense speculative vengeance. **6. France faces the threat of losing its triple-A credit rating. ** The spiraling recession in the euro area, together with the worsening of the position of the entire European periphery in which French banks are seriously exposed, put France into trouble. France is now facing the serious threat of losing its tripe-A credit rating, should it have to directly bail out its private banks who are in grave need for capital, in order to avoid a complete collapse of the economy. Such an unpleasant event for France would have massively negative ramifications for the whole Euro area. The winds of recession will blow with much greater force, as the EFSF which depends on the triple-A rating of France and Germany will fall into jeopardy, thus leading to a collapse of the programmes in Ireland and Portugal. Once that happens the euro will have passed the point of no return and will fall apart as Germany and the other triple-A economies (Netherlands, Austria, Finland) will not be willing to put their own finances in danger for the sake of saving the entire European periphery. These are the six main facets of the current economic reality in the euro area. Reforms are necessary both in countries and in the architecture of the euro itself. Solutions exist but come with their costs. However above everything else, what Europe is in desperate need of, is a coherent strategy to decisively address the crisis before its destructive force tears apart the euro and brings down with it all its constituent economies. None can escape out of this unharmed and the sooner we realize it, the better.